WhatsApp is undoubtedly the true king of instant messaging communications. Despite the emergence of new alternatives to send messages and share photos and videos of the likes of Telegram or Signal, and the efforts made by old-time rivals such as LINE, WeChat or Facebook Messenger, nobody is capable of putting up a decent fight against the chat service created by Brian Action and Jan Koum back in 2009. And that’s also regardless of the fact that many of these competitors that have tried to overthrow it are much more complete, incorporating functions and features that are much-demanded by its users. However, its over 1.5 billion users still make it the number one communications app in the world: not having WhatsApp means that you’re almost transparent for the society. But what can we do if we want to continue using WhatsApp and also make the most of other more advanced and complete functions? The only solution is to resort to the so-called WhatsApp MODs, modified versions of the official client maintained and developed by Facebook, which incorporate precisely what its users have been asking for: more and better features without giving up on using the most popular messenger service in the world. There are dozens of MODs available but one of them stands out from the rest due to its popularity, features, and performance: WhatsApp Plus is the WhatsApp MOD par excellence. Developed by the Official Plus team, the same guys behind the development of other modified clients such as GBWhatsApp, OGWhatsApp, OGYouTube or Instagram Plus, it has become a reference for the rest of MOD creators. And it does exactly what it name indicates: it give WhatsApp a plus, a little extra shove. Amongst its most noteworthy features, we have to point out the possibility to use two phone numbers on the same Android smartphone, install themes to customize the user’s interface, improve the app’s security and privacy options, skip the limits imposed by the official developers in terms of size restrictions for shared files, prevent our contacts from viewing our status or profile picture, etc. All in all, all the functions that we’ve always wanted to use on the official WhatsApp. However, the APK of WhatsApp Plus can’t be downloaded from Google Play since its development hasn’t been authorized by the owners of its source code. For such purpose, downloading, installing, and updating the app aren’t carried out as usual and could do with a short explanation that we’ve included in this guide with tips and tricks. A tiny tutorial that also intends to teach the user how to configure the appropriately to take advantage of all its functions and settle any doubts or concerns that may arise regarding the legality and security of this MOD, as nobody wants their personal details to be exposed or to get banned from the service. Thus, we’ll learn about all those tricks necessary to carry out actions such as hiding our ‘online’ or ‘writing’ status, carrying out backups of our WhatsApp chats to later restore them in WhatsApp Plus, use two accounts at the same time on the same device, and we’ll also break down all its pros and cons, comparing it to its main rivals on the Android market. And don’t forget to ask for help if you can’t find the answer to your doubts and questions about this MOD. There’s hardly anything with more presence amongst Android fans than their enthusiasm to customize their experience on the operating system of the green robot. In fact, it’s probably one of the main reasons why users choose it over its greatest rival, iOS: the possibility to customize their handsets however they want. However, this customization feature is not only limited to the aspect of our home screen. A huge number of apps allow us to change the way they’re viewed on our screen, whether by applying filters (as is the case of the night mode on Google Play Books) or allowing as to modify any detail of our phone’s visual aspect (such as Nova Launcher, for instance). At present, you can no longer get banned for using WhatsApp Plus, but that doesn’t mean that you can’t get banned in the future. 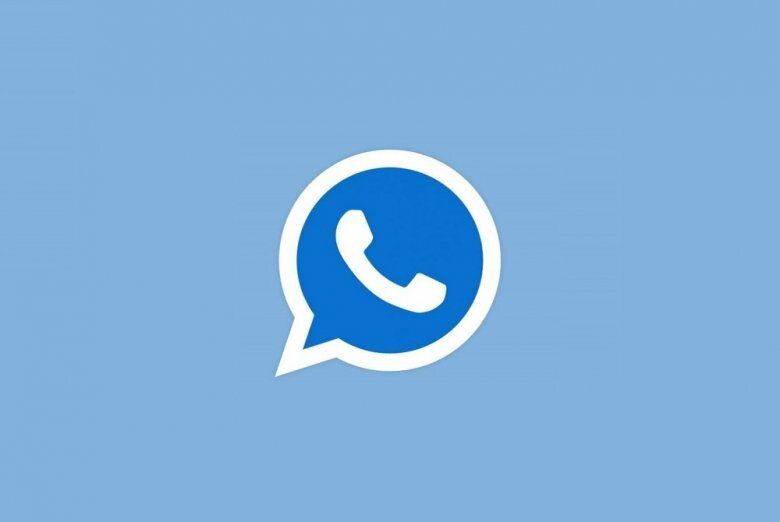 The fact is that some time ago, WhatsApp kicked out any user that used mods of the likes of WhatsApp Plus, OGWhatsApp, WhatsApp Transparent or any other development based on the famous instant messaging and chat app. WhatsApp Plus is an unofficial modified version of the instant messaging and chat application, WhatsApp, that allows us to use this messenger but with more options and customization functions than in the original application. It was created by a Spanish guy known as Rafaelete some years ago, being released in 2012 the first version of this development that is based on the original application. If you’re used to using WhatsApp, you shouldn’t have any trouble to know how to use WhatsApp Plus. It’s almost identical to the official application except for the installation process. Since you can’t download the app from Google Play, the latter varies slightly. But, essentially, all you have to do once you’ve downloaded and installed the application is sign up with your phone number just as you would do with the original WhatsApp application. Using WhatsApp Plus isn’t illegal but the development does go against certain copyright laws since WhatsApp has never publicly released its API to be used by other developers to create projects of this nature. However, it’s also true that WhatsApp doesn’t seem to be too bothered by the presence of the Plus mod because, otherwise, they would have put more effort into blocking its use or banning those users who had downloaded the app and were using it instead of the original official application (at WhatsApp Inc. they are perfectly aware of who uses the Plus version and who doesn’t).